SMART metrics with a BANG are a good start for your organization’s use of social media tools and channels. In this blog post we focus on how linking key drivers to social media strategy and the annual social media audit helps improve performance. 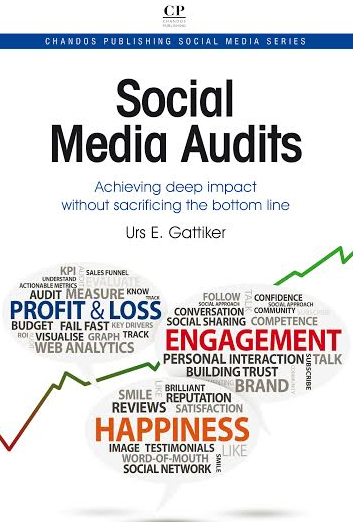 Article source – Why do social media audits fail? 1. What is a financial audit? A financial audit can be described as the formal review of a company’s financial statements. This is usually done by a certified – chartered or public – accountant. It provides investors with an outside expert’s opinion on whether those financial statements are relevant, accurate, complete, and fair representations, also compliant with appropriate guidelines and standards. 2. What is a social media audit (SMA)? Like its financial counterpart, the social media audit or SMA can be described as a formalized review of an organization’s social media activities. However, contrary to financial audits, social media audits are not guided by government regulations or a set of professional rules and standards. Instead, organizations must set out their own objectives and agree what will be measured and audited to make such an assessment productive for the company’s bottom line. The goal of a social media audit is to express an opinion on the organization under annual assessment based on work done on a test basis. 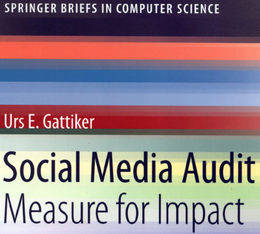 A social media audit that simply provides “… management with an independent assessment relating to the effectiveness of controls over the organization’s social media policies and processes…” is a lost opportunity. The latter would mean collecting information that helps benchmark the company’s social media efforts, thereby improving future performance. A good start to this important exercise is assessing where your company fits in the social media maturity model (see table). As a more novice user of social media channels and platforms, both cost and benefit data are likely not available in much detail from your organization. In contrast, an adopter-type social media user has a clear idea about direct costs involved, while indirect costs are also carefully monitored. Therefore, the inventory will reveal a rich data set that can better help the company prepare for a regular annual audit. An inventory will likely reveal some target areas for performance improvement that management will want to commit to, allowing expectations and resource needs to be spelled out, including budgeting for these activities. However, social media activities must be linked to key drivers the people in charge care about. To illustrate, using Twitter may help reduce wait times for walk-in traffic at our restaurant during lunch, specifically by tweeting a code to our followers that attracts some regulars to place their order by 11:30, making them eligible for a free soft drink. This helps spread out lunch orders, meaning the kitchen will have an easier time preparing orders quickly and patrons’ wait to be seated is also reduced. Overall attendance of a cancer support group’s monthly meeting should increase from about 10 people in Q1 2011 to about 20 by Q1 2012. Of these newcomers, five to ten will be followers of our Facebook page. The above objective might raise a second, ’so what’ question before recommendations for action are made, and that is fine. As previously stated however, if we get more than two or three ’so what’ responses in succession, we have the wrong metric and should therefore kill it. Companies and brands want to conduct social media audits annually to assess how your organization’s social media and marketing functions compare with leading practices. Starting with an inventory, then outlining which key drivers your company wants to link with its social media activities is a good start. However, unless we can show how social media marketing supports key operators, management is unlikely to give this area the attention it so richly deserves. The properly conducted SMA helps identify target areas for performance improvement and recommendations for how to achieve these objectives. Regular annual social media audits allow you to track progress and watch the trends. We need SMART metrics with a BANG, while using social media audits to focus on key drivers that show how social media marketing can support strategic objectives, such as sales growth. Thanks for the flowers Kesinee, #socialmedia #audit is a difficult thing to do and especially the baseline….nnYou need a baseline to start with your training program to eventually get to the Olympics if that is your wish. Same applies with social media. Unfortunately, we more often forget than do it.nnOnce the baseline inventory is done, you can set the objectives and get going. nnOf course, during the audit you can then assess, did we reach those objectives….nnThanks so much for sharing. Next post: Why does engagement fail?